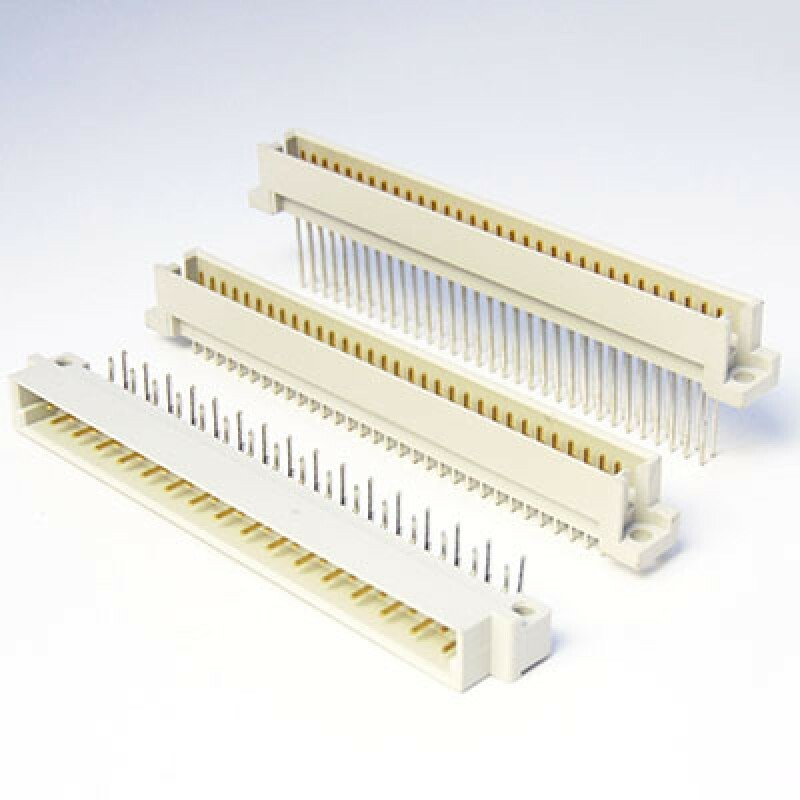 The DIN 41612 Q type body offers a choice of six contact arrangements over 2 rows. 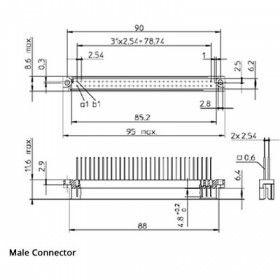 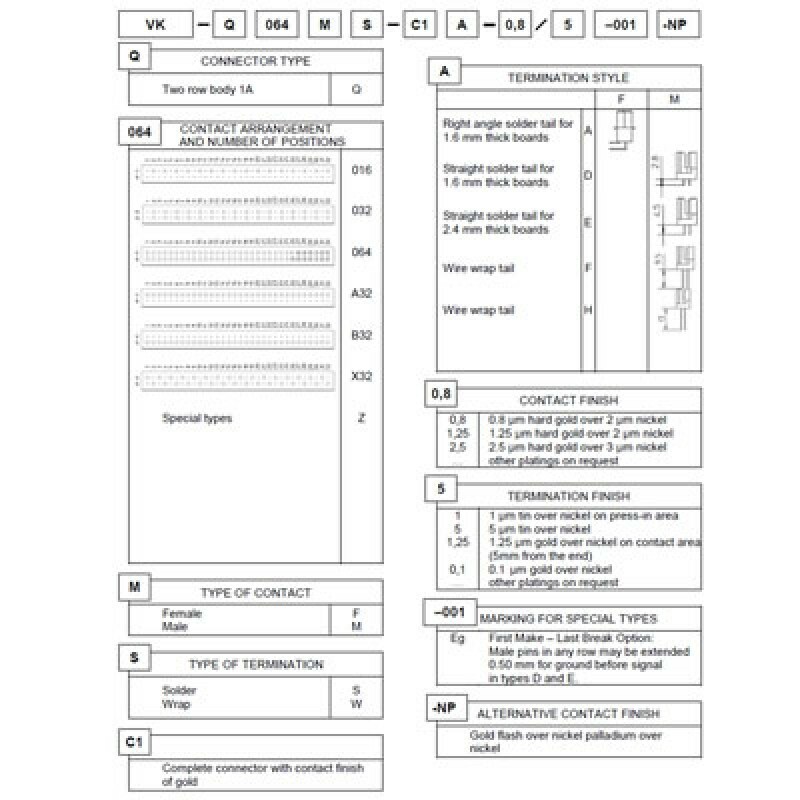 It has an overall width of 95mm and is available in both male and female connection types. 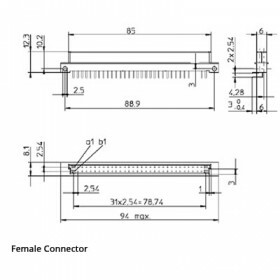 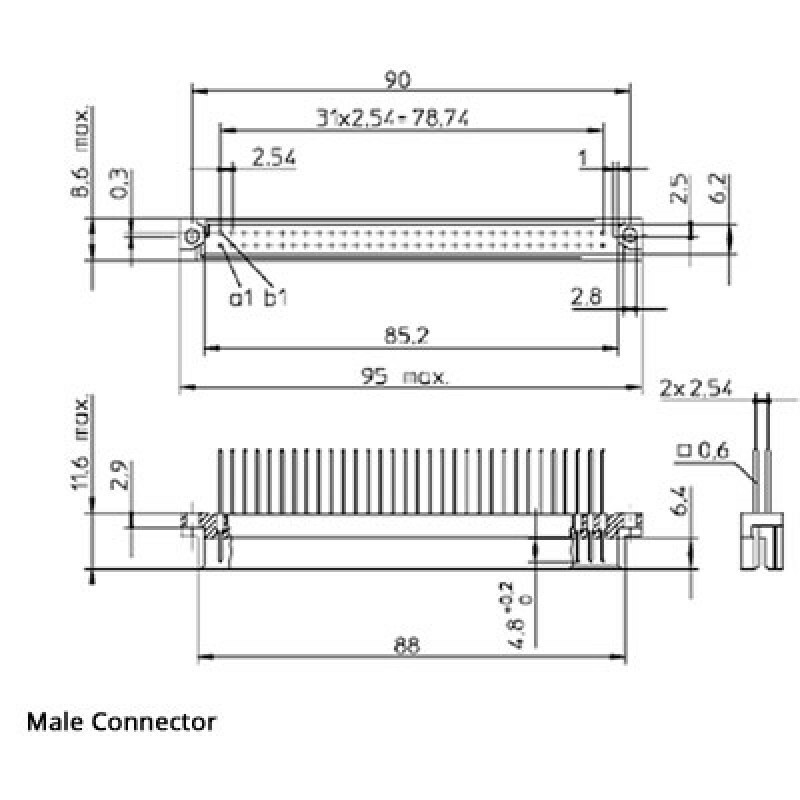 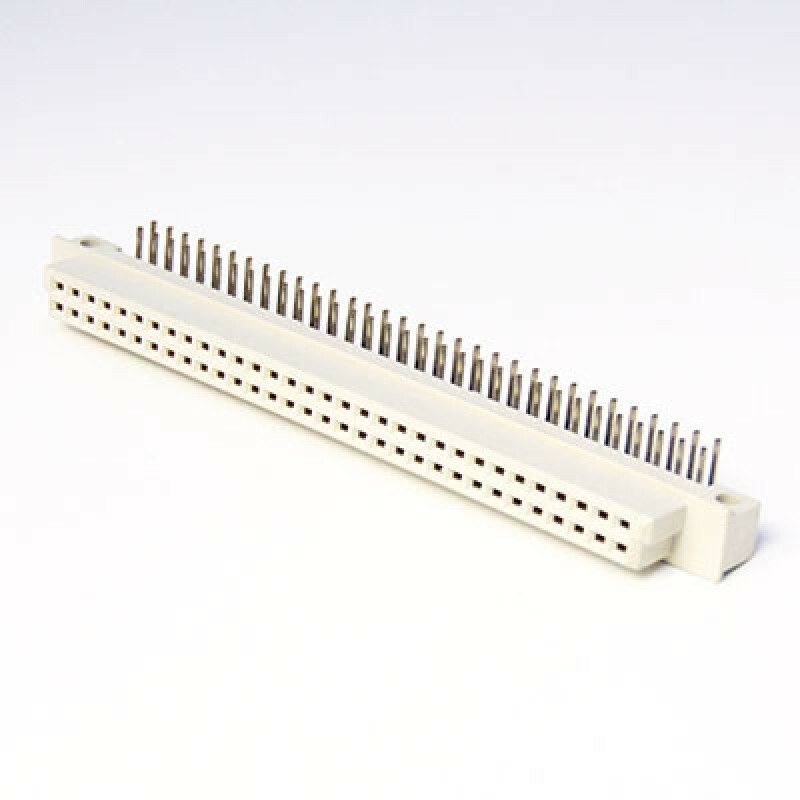 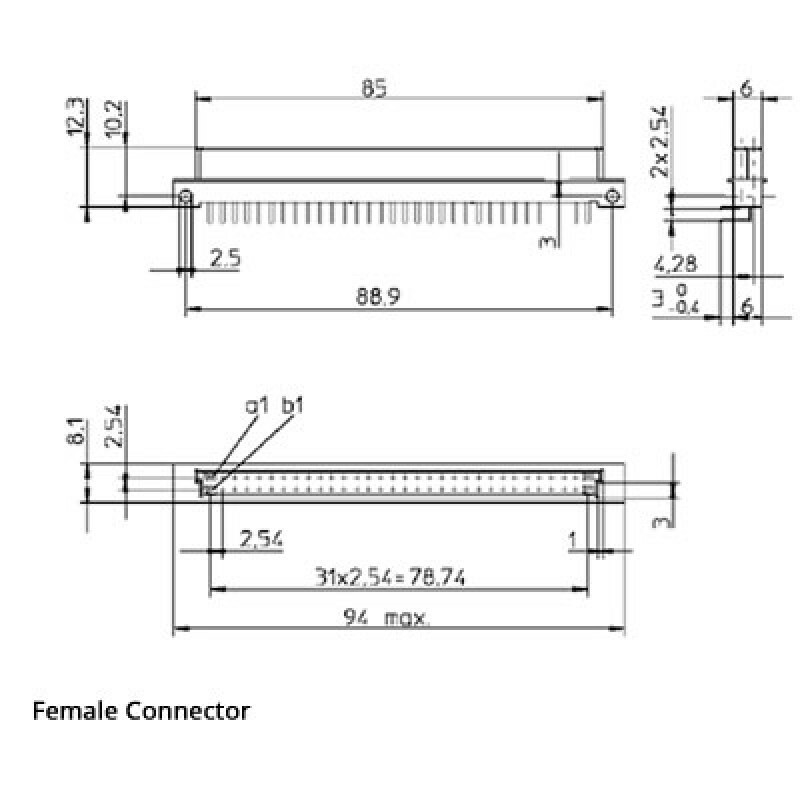 This is a PCB mounted connector and is available in a right angle mounted version for boards up to 1.6mm thick;. 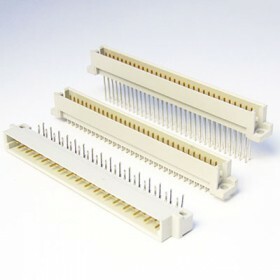 Two straight solder tail options for boards up to 1.6mm or 2.4mm in thickness and also two lengths of wire wrap tail.